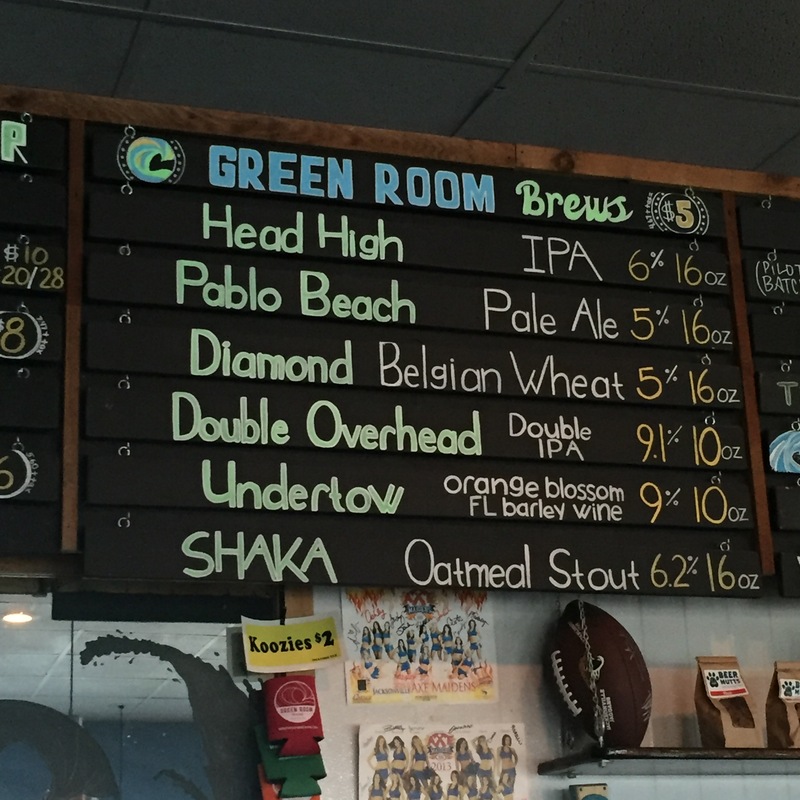 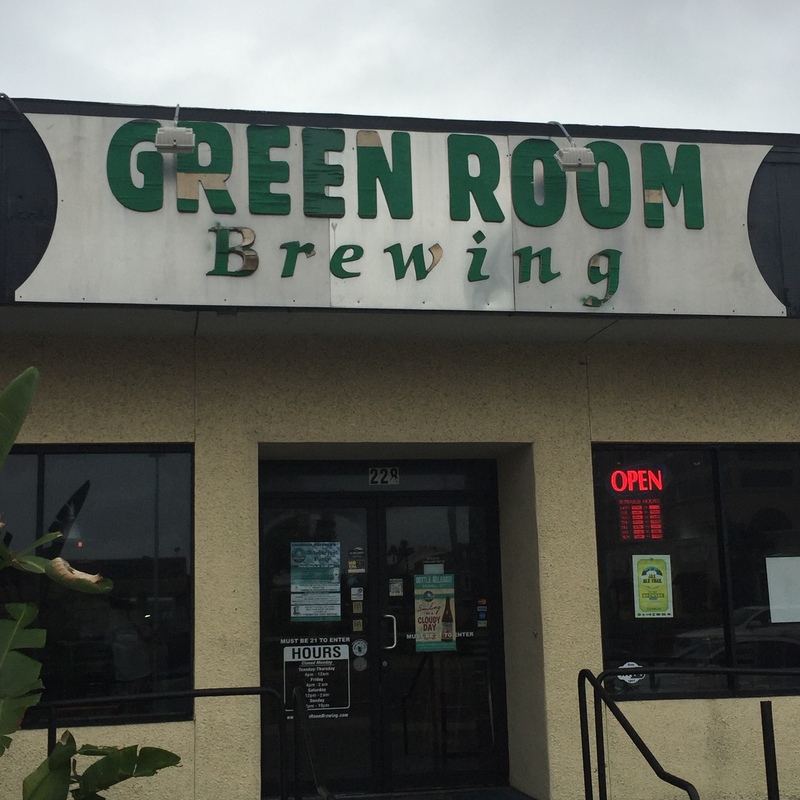 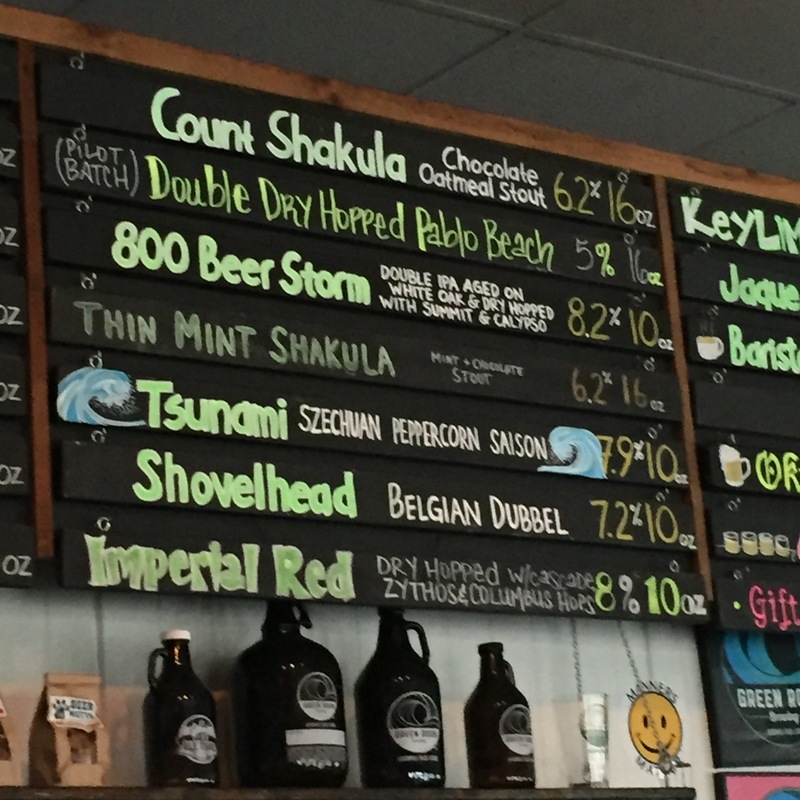 I stopped in at Green Room Brewing in Jacksonville Beach, Florida. 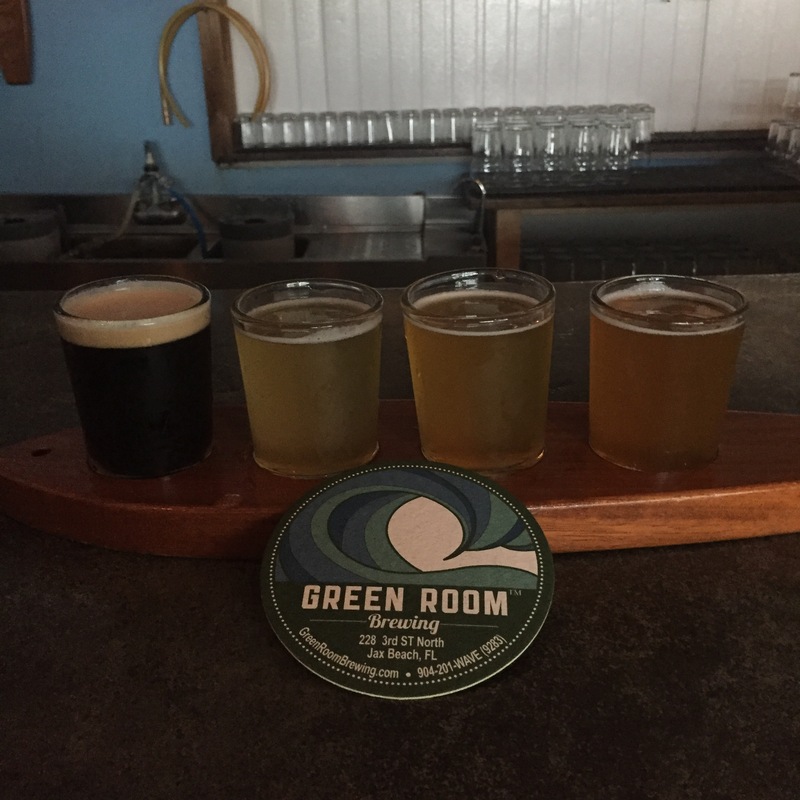 Each beer in the flight I enjoyed was delicious. 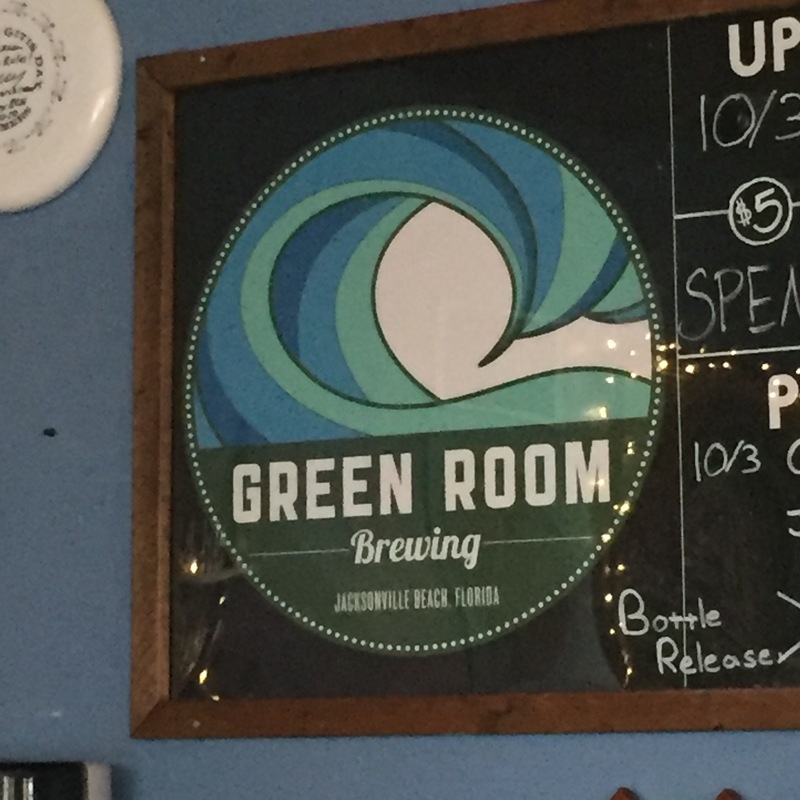 I enjoyed Double Dry Hopped Pablo Beach which sounds like a hop-bomb but is actually a very nicely balanced pale ale with hop character; also Tsunami which is a very nice saison with peppercorn accents; and Barista Volcanista a stout with many complex flavors going on; and my clear favorite was Key Lime Berliner, a sour Weiss beer which tasted like a slice of key lime pie – delicious. 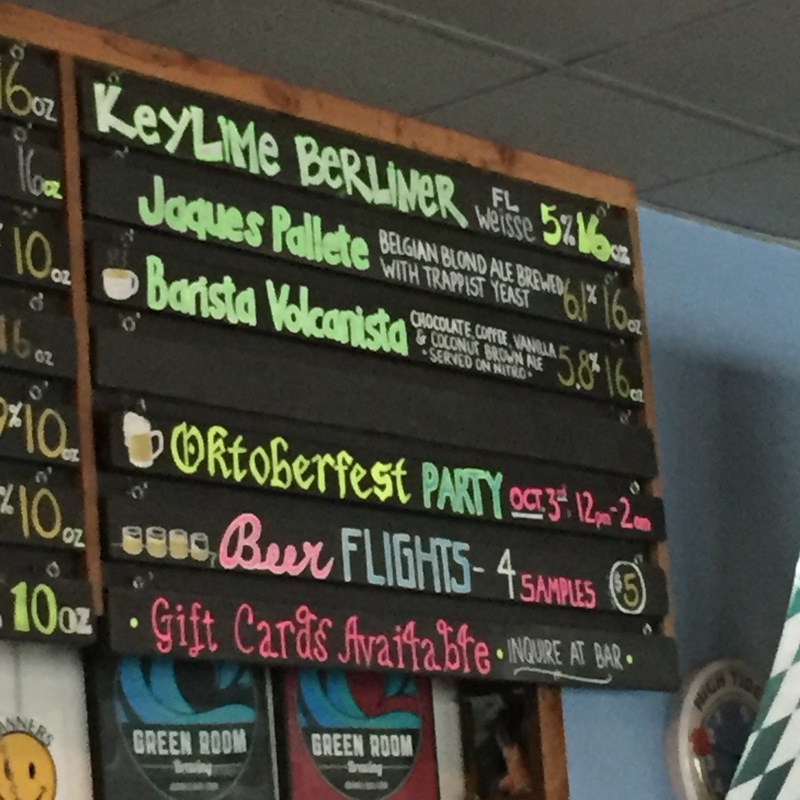 The Key Lime Berliner alone is worth stopping for.